The LiveFit personal training program offers a one-on-one personalized experience with one of our certified rockstar trainers. Whether you’re coming in for weight loss, strength training, or functional training, we’ve got just the specialist for you. ​Sign up for a Fitness Assessment prior to joining Live Fit and save on the $50 Enrollment Fee. Call us at (415) 525-4364 to book an appointment! My name is Shira and I born and raised in NYC, and lived the past decade in Israel, I started with dancing & gymnastics and moved on to personal training & group training. I was certified in the Orde Wingate Institute for Physical Education and Sports in Israel,and I have been training since 2012. I like combining various techniques to keep it fun while your burning off those calories! Work hard, Play hard. I like to challenge the body & reach for the sky! When outside work, I love traveling with my dog, hiking, running, swimming, and pretty much anything that will boost my heart rate! “I can help you to build the consistency we need in our daily lives to feel and look better. I have the tools to reach your goals, but I will need your cooperation to be willing to try. Ben spent most of his life studying combat arts. He is a N.A.S.M. 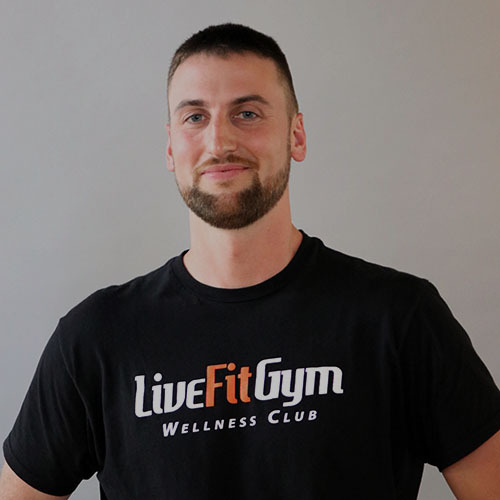 Certified Personal Trainer whose specializations include Integrated Flexibility Techniques, in addition to being a Women’s Fitness Specialist (this includes expecting or new mommies). His own path to recovery from two hernia surgeries, and the resulting chronic lower back pain, led him to cultivate a passion for healing movements. His study of anatomy and physiology at the university level, including cadaver classes, provide the framework for his program design. The emphasis of which is a holistic progression toward increasing total body function, fitness, tone, and strength. He loves training with the TRX, kettlebells, and dumbbells. Ben is currently pursuing his studies in history at University of San Francisco. He is a high-energy goofball who can be found out at the Bush or Polk locations whenever his head isn’t buried in a history book. Javier is a University of Southern Mississippi graduate with a degree in physical education and recreation. 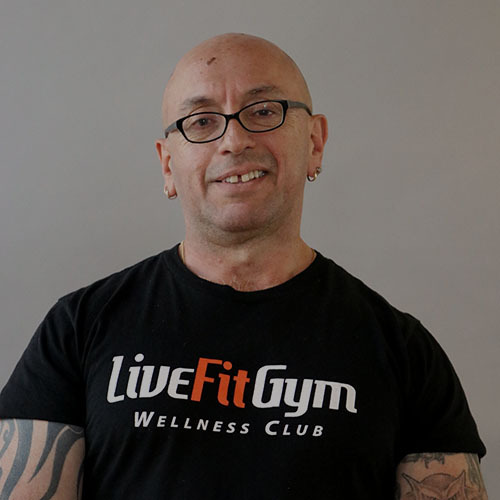 He has changed hundreds of people’s lives during his 25 years of career as a personal trainer, making them fitter, happier and more enthusiastic about life. Javier is a true believer that proper execution form, right intensity and the appropriate exercise program along with an appropriate motivation, will help you achieve your specific goals faster, harmlessly and more enjoyably. 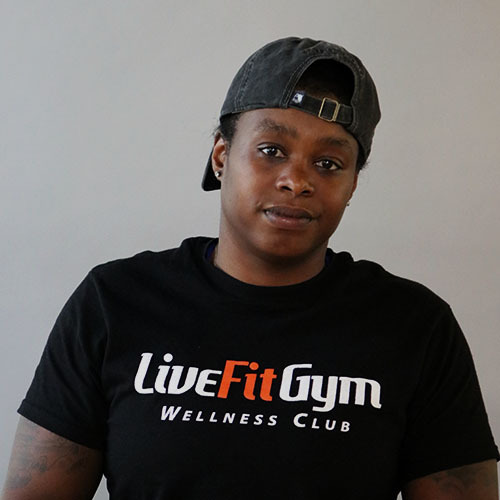 Working in the fitness industry for over eight years Ginna is an established personal trainer and currently serves as Assistant Trainer to the City College football team for both conditioning and strength. She is certified personal training by ACE, ISSA, AAAI & ISMA, in addition to being certified for Egyptian Belly Dance. She focuses on maintaining a positive and supportive atmosphere during her sessions and her workouts can be as challenging or relaxed as you wish, but no matter what, you will surely enjoy feeling and seeing the results. 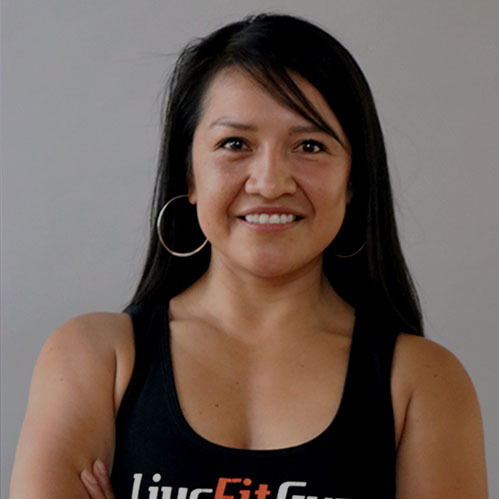 Monica is a National Academy of Sports Medicine Certified Personal Trainer and Corrective Exercise Specialist and she has recently added a Mind-Body training component to all aspects of her training. 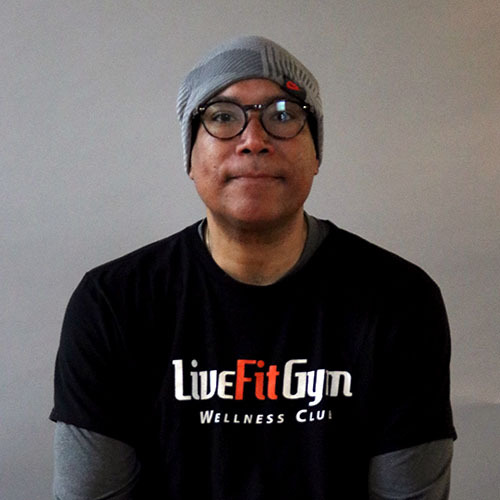 “My passion for fitness came to fruition after experiencing a tremendous loss in my personal life and realizing how critical daily exercise and maintaining a healthy lifestyle were to sustaining my positive attitude and outlook on life. I have lost over 30 pounds, overcome cancer, and personally rehabilitated myself from myriad injuries and surgeries. I love helping others overcome obstacles and achieve their personal goals. Let me show you how to increase your awareness of mind, body and spirit so you may become your best self yet!” When Monica is not training she loves urban hikes around the City, camping, cooking, dancing, traveling and spending time with her family. Daniel Pierre-Louis has nearly a decade of professional coaching experience. He has worked with individuals of all ages and at all fitness levels. 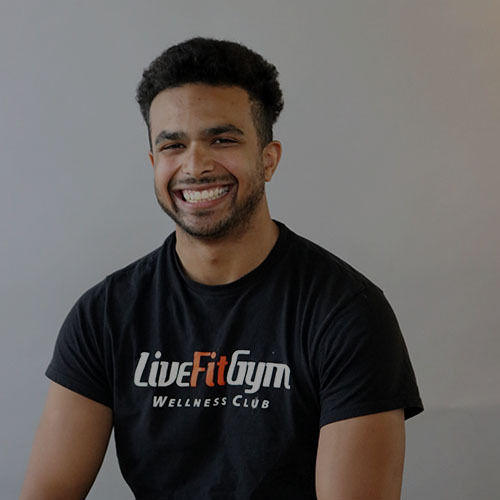 As a certified Health Coach his focus is on assessing a clients’s diet and nutrition, core strength and physical fitness to create a personalized training regime targeting overall wellness. He enjoys working with clients to help them develop goals and then taking the journey with them to achievement. LeRocman (Rocky) grew up in the state of Wisconsin where he gained his passion for of playing sports that include football, wrestling and track. Through his experiences competing at he college level and being a part of a nationally ranked Division 3 football team, he has learned the amount of dedication and hard work that it takes to achieve one’s goals. Since completing his Bachelor’s Degree in Kinesiology and gaining his NSCA (CSCS) certification, he has turned his passion and love for the sport of football into providing support, guidance and encouragement to help people unleash their full potential in whatever they desire. He believes that with the right tools, hard work and a specific program that matches with the individual anybody can achieve whatever goal that they set their mind to. He uses three main components to resistance training, cardio and nutrition to proscribe a specific program for each individual, not only to achieve their goals but to unlock their full potential, a potential that some thought would never be possible. His main mission is to get you to achieve those things that you thought were impossible. 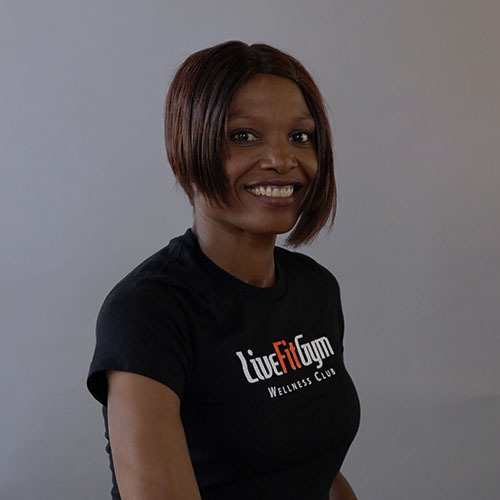 Ellen Pointer is a National Strength and Conditioning Association Certified Personal Trainer who believes in a holistic approach to health and wellness. As an high school and college athlete, Ellen has always had a passion for fitness. 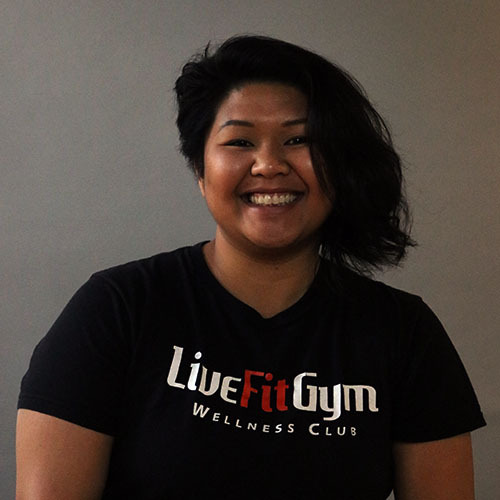 Throughout her college years, Ellen realized the importance of fitness as she changed her major from English to Fitness Management as she began to purse her dreams in helping people through health and fitness. Ellen has seen clients with goals ranging from fat loss to muscle gain and loves to see them transform from low self-esteem to extreme self-confidence In her spare time, Ellen enjoys drawing and writing poetry, cooking, hiking, and working out. Aliza first discovered her passion for fitness as a music major in college, when she started using exercise as a way to overcome personal difficulties and to counteract the effects of sitting at a piano for hours a day. As a result, she was able to dramatically change her health and overall wellness for the better. 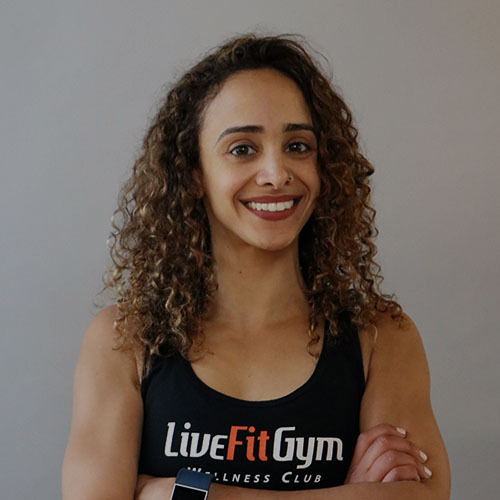 After experiencing firsthand the life-changing effects that fitness can have, Aliza decided that she wanted to help others discover the power of a healthy and physically active lifestyle, so she set out to achieve her personal training certification. She fully believes in the healing power of fitness and that a happy, healthy body and a happy, health mind go hand in hand. When she’s not training, Aliza enjoys making music, traveling, and constantly challenging herself with different workouts like circus aerials, weight training, HIIT, tabata, and kettlebell circuits. Stephanie’s passion for fitness started with her first ice skating lesson, from a young age she was involved in ballet, golf, gymnastics, and Pilates. This manifestation grew further when she began long distance running and needed supplementation to maintain muscle mass. From there, weight training was added into her regimen. The rest is still being discovered. Her active practices is a lifestyle she has instilled within all her clients. From competitive athletes to the couch potato. The first step is realizing when you want to begin the journey. When she’s not training clients or working out you can find her exploring the city’s latest food trends, hiking, or following a wanderlust journey around the world.